Bed bugs were reportedly found at numerous Philadelphia area hotels. In order to kill bed bugs before an infestation can establish, Allergy Technologies LLC recommends the use of an active mattress liner. 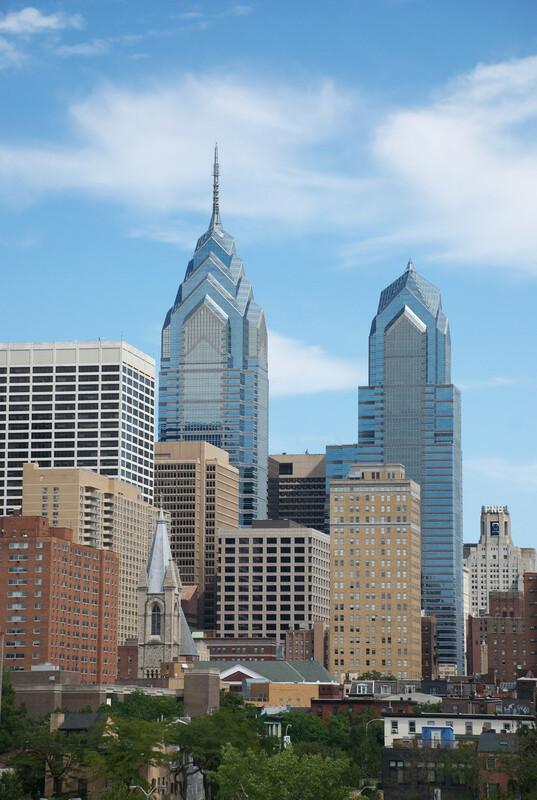 Recently, Philadelphia has been named the 11th best city on the planet by the IESE Business School in Spain. This is an amazing accomplishment and may be one of the reasons that the 2016 Democratic National Convention will be held in Philadelphia. While Philadelphia is enjoying the great publicity that comes with the Business School’s designation and the appointment as the site of the Democratic National Convention, the city needs to be careful that the spotlight from the convention does not decrease their chances of becoming an even greater tourist destination. What could make tourists stay away? Bed Bugs! In 2012 the city of Philadelphia got the dubious honor of being named the Nation’s Bed-Buggiest City. As any tourism department can tell you, being named the Nation’s Bed-Buggiest City is a public relations nightmare that will have tourists running in the other direction. Luckily for Philadelphia there is time to institute proactive steps toward resolving this problem before the onslaught of delegates in 2016. Bed bugs are notoriously hard to eradicate and an infestation can translate to an enormous remediation cost for a hotel, school or other business. When a bed bug problem is brought to the attention of a hotel, the room cannot be rented and typically the adjoining rooms must also be treated by a pest management professional. If bed bugs are found to be infesting a hotel there are a number of different treatment approaches a pest control professional can use including steam, heat and chemicals to eliminate bed bugs from a particular location. Although these methods usually work, they are often time and cost intensive. When it comes to bed bugs, the old saying, “an ounce of prevention is worth a pound of cure”, is sound advice. Instead of using harsh chemicals and extremely expensive heat treatments, hotels that invest in an active mattress liner like the ActiveGuard® Mattress Liners will likely be saving significant amounts of money in remediation costs and lost revenues from infestations. Unlike many other “mattress protectors”, the ActiveGuard® is one of the foremost researched bed bug prevention products available. Other mattress protectors like encasements simply seal bed bugs inside of them hoping to starve them to death over the course of nine months to a year. However, these protectors, commonly referred to as encasements, are also prone to ripping and tearing. Once torn, they are rendered irreparable and useless, allowing bed bugs a pathway to escape and form new places to hide. The ActiveGuard Mattress Liner is different; instead of trapping and starving bed bugs, these liners kill bed bugs on contact, typically within 72 hours. Because of their mode of action, ActiveGuard Mattress Liners naturally lend themselves to being an excellent proactive preventive product that are ideally suited to protect hotels, schools, homes and more against a full blown bed bug infestation. Besides their effectiveness, another great advantage of the ActiveGuard Mattress Liner is ease-of-use. In less than one minute, the ActiveGuard Mattress Liner can be installed on a mattress or on a box spring. Once installed the mattress liner does not need to be changed for two years. That is why many of the leading and respected hotels in the country are already preventing bed bugs by using ActiveGuard Mattress Liners. In 1950 Cornell University established The Statler Hotel as an experiment in hotel education. Today, The Statler Hotel thrives as an innovative leader in the hospitality industry. As one of their innovative moves, the hotel installed ActiveGuard Mattress Liners on every bed. They have now gone close to four years without a single report of a bed bug. Bed bugs can destroy hotels’ reputations and create enormous problems for a city at the epicenter of attention, for example, in the midst of a national convention! ActiveGuard Mattress Liners kill bed bugs and prevent infestations before they establish, maintaining hotel brand reputation and guest confidence. If the City of Philadelphia wants to continue to enhance their positive public image, they should strongly encourage hotels to protect their visitors for the Democratic National Convention by using ActiveGuard Mattress Liners.